The New York Times has published a report on 52 places to go in 2019. It has ranked Iran 45th after Hong Kong and before Houston. Its main selection criteria are arts and culture programs taking place in these countries. Iran’s name is on the list while relations between the two countries is facing severe challenges. 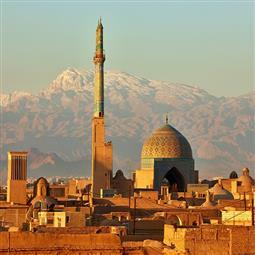 The New York Times has chosen the title “Tourism cautiously returns to this Middle East jewel” for its article, writing: “Though tensions between Iran and the United States have escalated since President Trump took office, the appeal of Iran for adventurous travelers is obvious: the monumental ruins of ancient Persia, the spectacular, centuries-old mosques of Shiraz and Isfahan, the Grand Bazaar and Golestan Palace in the bustling metropolis of Tehran.